This morning I took a bus into town and had a nice walk in posh Ponsonby. Summer has truly arrived now and there are agapanthus flowers everywhere. 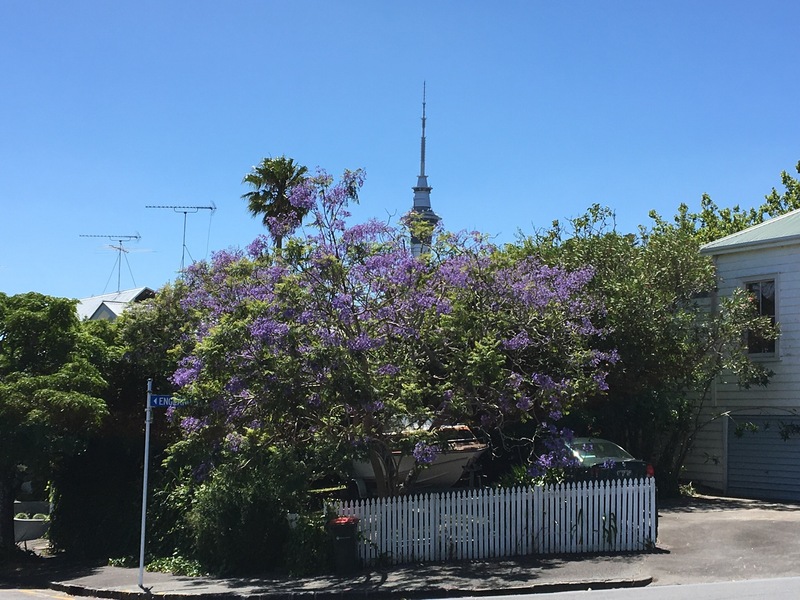 The jacaranda trees are just dropping their petals but they still look pretty impressive with their violet blooms. I found a shady place to sit outside the Mercy Hospice to draw this uphill view of the former Ponsonby Post Office. It’s a listed building which now houses a bistro. I love your writing. Truly great. Your sketches are just amazing. Discover-d you and glad I stopped by. Such a great blog you have got. 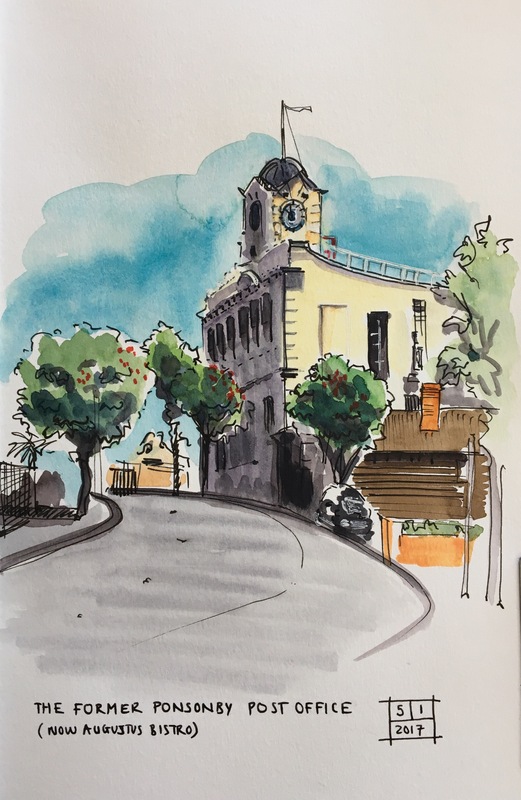 Pingback: Ponsonby Post Office — Tabitha’s sketchbook — До каждого с миром!